The newest google killer (get in line, folks) went live today or yesterday. Wolfram Alpha answers plain questions with plain answers with the most sophisticated of computer minds. 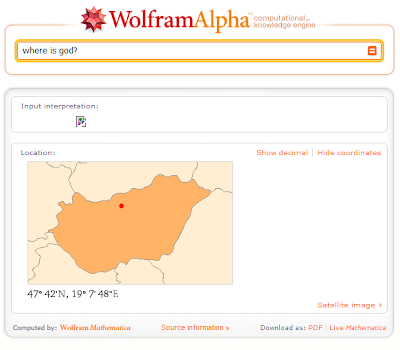 Yup, God is in Hungary, just north of Budapest.